ELITE STONE & MARBLE reserves the right to modify or amend this Agreement without notice at any time. It is therefore important that you read this page regularly to ensure you are updated as to any changes. If you become aware of misuse of this Site by any person, please contact the Site Administrator at marketing@signaturekb.com with your concerns. All materials contained in this Site are protected by U.S. and international trademark and copyright laws and must only be used for personal, non-commercial purposes. This means that you may only view or download material from this Site for your own use and you must keep all copyright and other proprietary notices attached to the downloaded material. You may not use any deep-link, page-scrape, spider, robot, crawl, index, Internet agent, or other automatic device, program, algorithm or technology which does the same things, to use, access, copy, acquire information, generate impressions, input information, store information, search, generate searches, or monitor any portion of the ELITE STONE & MARBLE website. The reproduction, duplication, distribution (including by way of email, facsimile or other electronic means), publication, modification, copying or transmission of material from this Site is STRICTLY PROHIBITED unless you have obtained the prior written consent of ELITE STONE & MARBLE or unless it is expressly permitted by this Site. The material covered by this prohibition includes, without limitation, any text, graphics, logos, photographs, audio or video material or stills from audiovisual material available on this Site. The use of materials from this Site on any other web site or networked computer environment is similarly prohibited. Requests for permission to reproduce or distribute materials found on this Site can be made by contacting ELITE STONE & MARBLE in writing at Business and Legal Affairs, ELITE STONE & MARBLE at 636-720-0491 or email at marketing@signaturekb.com. You are also strictly prohibited from creating works or materials that derive from or are based on the materials contained in this Site including, without limitation, fonts, icons, link buttons, wallpaper, desktop themes, on-line postcards and greeting cards and unlicensed merchandise. This prohibition applies regardless of whether the derivative materials are sold, bartered or given away. You agree that any Message whatsoever submitted by you becomes the property of ELITE STONE & MARBLE and may be used, copied, sublicensed, adapted, transmitted, distributed, publicly performed, published, displayed or deleted as ELITE STONE & MARBLE sees fit. If unsolicited submissions are sent to ELITE STONE & MARBLE via this Site, these submissions become the property of ELITE STONE & MARBLE and may be used, copied, sublicensed, adapted, transmitted, distributed, publicly performed, published, displayed or deleted as ELITE STONE & MARBLE sees fit. You agree that you are not entitled to any compensation, credit or notice whatsoever and that by sending an unsolicited submission you waive the right to make any claim against ELITE STONE & MARBLE, its parents or affiliates relating to unsolicited submissions, including, without limitation, unfair competition, breach of implied contract or breach of confidentiality. ELITE STONE & MARBLE may, from time to time, post ELITE STONE & MARBLE employment opportunities on the Site and/or invite users to submit resumes to it. 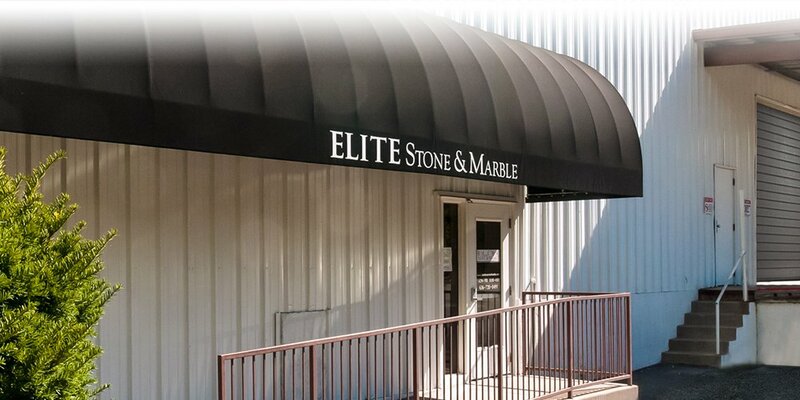 If you choose to submit your name, contact information, resume and/or other personal information to ELITE STONE & MARBLE in response to employment listings, you are authorizing ELITE STONE & MARBLE to utilize this information for all lawful and legitimate hiring and employment purposes. ELITE STONE & MARBLE also reserves the right, at its sole discretion, to forward the information you submit to its parents, subsidiaries and affiliates for legitimate business purposes. Nothing in these Terms of Conditions or contained in the Site shall constitute a promise by ELITE STONE & MARBLE to interview, hire or employ any individual who submits information to it, nor shall anything in these Terms of Condition or contained in the Site constitute a promise that ELITE STONE & MARBLE will review any or all of the information submitted to it by users. ELITE STONE & MARBLE reserves the right to immediately terminate your use of, or access to, this Site at any time if ELITE STONE & MARBLE decides at its sole discretion that you have breached this Agreement or any relevant law, rule or regulation or you have engaged in conduct that ELITE STONE & MARBLE considers to be inappropriate or unacceptable. While ELITE STONE & MARBLE does its best to ensure the optimal performance of the Site, you agree that you use this Site and rely on material contained in this Site at your own risk. To the maximum extent permitted by law, the Site, and all materials in this Site, are provided “as is” and, to the fullest extent permitted by law, are provided without warranties of any kind either express or implied. This means, without limitation, that ELITE STONE & MARBLE DOES NOT WARRANT that the Site is fit for any particular purpose; that the functions contained in the materials in the Site will be uninterrupted; that defects will be corrected; that the Site is free of viruses and other harmful components or that the Site is accurate, error free or reliable. You acknowledge that ELITE STONE & MARBLE, its parents and affiliates together with their respective employees, agents, directors, officers and shareholders, IS NOT LIABLE for any delays, inaccuracies, failures, errors, omissions, interruptions, deletions, defects, viruses, communication line failures or for the theft, destruction, damage or unauthorized access to your computer system or network. You acknowledge that ELITE STONE & MARBLE is not liable for any defamatory, offensive or illegal conduct or material found in connection with this Site, including such conduct or material transmitted by any means by any other person. You acknowledge that ELITE STONE & MARBLE is not liable for any damages, including, without limitation, direct, incidental, special, consequential or punitive damages, in connection with or arising from your use or from your inability to use the Site. You agree to defend, indemnify and hold harmless ELITE STONE & MARBLE, its parents and affiliates together with their respective franchisees, employees, agents, directors, officers and shareholders, from and against all the liabilities, claims, damages and expenses (including reasonable attorney’s fees and costs) arising out of your use of this Site; your failure to use the Site; your breach or alleged breach of this Agreement or your breach or alleged breach of the copyright, trademark, proprietary or other rights of third parties. St. Charles, MO 63304 (in the case of ELITE STONE & MARBLE) or to the email address you provide to ELITE STONE & MARBLE during the registration process (in your case). Notice shall be deemed given 24 hours after email is sent, unless the sending party is notified that the email address is invalid. Alternatively, we may give you notice by certified mail, postage prepaid and return receipt requested, to the address provided to ELITE STONE & MARBLE during the registration process. In such case, notice shall be deemed given 3 days after the date of mailing. In the event a dispute arises between you and ELITE STONE & MARBLE, our goal is to provide you with a neutral and cost effective means of resolving the dispute quickly. Accordingly, you and ELITE STONE & MARBLE agree that any claim or controversy at law or equity that arises out of this Agreement or our services (“Claims”) shall be resolved in accordance with the provisions below or as otherwise mutually agreed upon in writing by the parties. Before resorting to formal proceedings, we strongly encourage you to first contact us directly to seek a resolution and we will consider reasonable requests to resolve the dispute through alternative dispute resolution procedures, such as mediation, as an alternative to litigation. All disputes which cannot be resolved between the parties, and causes of action arising out of or connected with the Site, must be submitted to binding arbitration and decided on an individual basis, without the right for any claims to be pursued or decided as a class, consolidated, collective or representative action. The arbitration shall be conducted in St. Louis County, Missouri, on a confidential basis pursuant to the Federal Arbitration Act. Any decision or award as a result of any such arbitration proceeding shall be in writing and shall provide an explanation for all conclusions of law and fact and shall include the assessment of costs, expenses, and reasonable attorneys’ fees. An award of arbitration may be confirmed in a court of competent jurisdiction. You agree that this Agreement and all incorporated agreements may be automatically assigned by ELITE STONE & MARBLE in our sole discretion, Headings are for reference purposes only and in no way define, limit, construe or describe the scope or extent of such section. Our failure to act with respect to a breach by you or others does not waive our right to act with respect to subsequent or similar breaches. This Agreement sets forth the entire understanding and agreement between us with respect to the subject matter hereof. The services hereunder are offered by ELITE STONE & MARBLE, located at 1 Lami Industrial Drive St. Charles, MO 63304.